All fellowship ads appear for one year on our Fellowship page. Postings within the last 90 days are also listed in our biweekly emails, sent to 5,963 subscribers. Description: This one-year ACGME-accredited fellowship provides experience in a large academic hospital transfusion medicine, apheresis, and coagulation service at the University of Alabama Hospital, including patient blood management (PBM), pre-transfusion testing, investigation of antibody problems and transfusion reactions, component therapy, hemostasis consultation, therapeutic apheresis, including photopheresis, transplantation immunogenetics, and HLA. Donor experience and reference laboratory consultation occur at the American Red Cross Blood Services. Teaching and research involvement are not only abundantly available, but expected and rewarded. This program is directed by Marisa Marques, M.D., Professor of Pathology, Medical Director, Transfusion Medicine Services. Requirements: Candidates should be Board-eligible or Board-certified in Clinical Pathology or other major specialty board such as Anesthesiology, Medicine or Pediatrics and have an unrestricted Alabama license prior to starting fellowship. Description: The Division of Anatomic Pathology at the University of Alabama Medical Center, Birmingham, offers a one-year ACGME-approved fellowship experience in Cytopathology, with rotations entirely at the University of Alabama Hospital. The UAB Cytopathology laboratory receives approximately 14,500 gynecologic cases per year (conventional and liquid based) and 7,800 non-gynecologic cases per year, including fluids, FNAs, EUS-FNAs, and pulmonary cases. Fellows actively participate in previewing and signing out all types of Cytopathology cases, perform rapid on-site evaluation and participate in colposcopic biopsy sign out. In addition, fellows will have hands-on experience with ultrasound-guided thyroid FNA. Opportunities for elective rotation in subspecialty areas of Surgical Pathology are available, making the program flexible and individually tailored. Participation in ongoing clinical studies and translational research is also encouraged, leading to publications and presentations at national meetings. The program is optimized with structured didactic lectures and slide sessions relevant to daily practice and Board examination, as well as continuing education through the American Society of Cytopathology monthly webinars. Faculty evaluation of fellows focuses on achievement of competency in patient care, medical knowledge, practice-based learning and improvement, interpersonal and communication skills, professionalism, and lastly system-based practice. Additionally, progress is evaluated through the Progressive Evaluation of Competency exam provided by the American Society of Cytopathology, and through the quarterly meeting of the Clinical Competency Committee. This program is directed by Frida Rosenblum, M.D., Assistant Professor of Pathology. Requirements: Applicants must be AP or AP/CP Board eligible, or Board certified. Graduates of medical schools approved by the Liaison Committee on Medical Education (LCME) and those who are Board certified will be given preference. Most fellows are in their 4th or 5th postgraduate year. Stipends: Salary levels are commensurate with the level of postgraduate training. Also provided is a professional development fund. Description: The Pathology Department at the University of Alabama at Birmingham (UAB) and the Jefferson County Coroner/Medical Examiner Office offer a one year accredited fellowship training program in forensic pathology. The office draws its caseload from Jefferson County, which includes the city of Birmingham, and has a population base of approximately 662,000. The office annually examines approximately 950 bodies including approximately 150 homicides and 450 accidental deaths. Complete scene investigations are routinely conducted by in-house investigators of homicidal, accidental, and suicidal deaths. All medical and police records are routinely obtained. The fellow acts as a functioning forensic pathologist and is responsible, under supervision by staff pathologists, for scene investigations, complete postmortem examinations, protocol preparations, conferences with interested parties, and actual court testimony. Consultation in all medical specialties is readily available if needed, as are opportunities for teaching. Two crime laboratories (representing two jurisdictions) serve the metropolitan area. The medical examiner office is well staffed and equipped, including complete photographic and radiography facilities and computerization of all records. The database makes research feasible, and research with presentation at a national scientific meeting is encouraged. In addition, toxicological testing is provided in house by the UAB Department of Pathology’s Forensic Toxicology Section. Opportunities for collaboration on research projects with faculty in the Toxicology Division are also available. Requirements: Successful completion of accredited pathology residency training program in either anatomic pathology or anatomic/clinical pathology. Description: The University of Alabama at Birmingham Departments of Pathology and Genetics jointly offer a one-year ACGME accredited fellowship in molecular genetic pathology. The fellowship is designed to train academically oriented pathologists and medical geneticists for a career in molecular genetic pathology, including hematology/oncology, infectious diseases, identity testing, molecular diagnostics of Mendelian disorders, cytogenetics, and medical genetics. After completion of this program, the fellow will be eligible to take the Molecular Genetic Pathology board examination cosponsored by ABP and ABMMG. Training includes didactic courses, selected laboratory rotations and an in-depth research experience. The fellow will gain experience in a broad range of molecular techniques including nucleic acid extraction and amplification (PCR, RT-PCR, real-time PCR, NASBA, and SDA), sequencing, capillary electrophoresis, traditional cytogenetics, FISH, microarray and next generation sequencing technology. Trainees are expected to function as junior attendings and will be actively involved in test development, performance, preparation of report of sign-out, participation in clinic/inpatient visits and clinical consultation. Fellows are also exposed to administrative aspects of directing a modern molecular diagnostics laboratory. Opportunities for research experience are available in the first and subsequent years. This program is directed by Shuko Harada, M.D., Associate Professor of Pathology, Interim Division Director of Genomics and Bioinformatics, and Section Head of Molecular Pathology. Requirements: Applicants must be AP, CP or AP/CP or medical genetics Board eligible, or Board certified. Stipends: Stipends are commensurate with the year of postgraduate training in pathology or genetics. Also provided is a professional development fund. Description: The Hematopathology Fellowship at the University of Alabama (UAB) is a one-year program which is fully accredited for subspecialty board certification. The program includes experience in all major aspects of hematopathology, including morphology, immuno-cytochemistry, flow cytometry, pediatric hematopathology and diagnostic molecular biology approaches. There are an estimated 800 lymph node workups, 1,300 bone marrow biopsies and 4,000 flow cytometry cases per year. Additional material is received from outside institutions for immuno-histochemistry, in-situ hybridization and flow cytometric analysis. Material is derived from the University of Alabama Hospitals and Clinics (which includes a Comprehensive Cancer Center, active leukemia/lymphoma/myeloma clinical trials program, bone marrow and organ transplantation programs, and a major AIDS center), from the Birmingham VA Medical Center, from Children's of Alabama, and from outside consultations. The fellow will be involved in research, either clinical or translational, during the fellowship year. Intramural research funding for trainees may be available. The program is directed by Deniz Peker, M.D., Associate Professor of Pathology. Requirements: Applicants must be Board eligible in Pathology. Stipends: Salary levels are commensurate with the level of post graduate training. Also provided is a professional development fund. Description: The Neuropathology Fellowship at the University of Alabama at Birmingham is accredited by the ACGME and meets the requirements towards board certification in neuropathology. We seek to train pathologists or other physicians with appropriate neuroscience training for careers in academic neuropathology. One year of fellowship is on clinical service and the second year provided as a year of research experience. The UAB Division of Neuropathology has a broad catchment area, with specimens originating from University Hospital, the Birmingham VA Medical Center, Children's of Alabama, and the Medical Examiner's System of Alabama as well as an active consultation service. Research opportunities in many different disciplines are available, with numerous neuroscience subcenters in the University. Staff: Kenneth B. Fallon, M.D., Associate Professor, Neuropathology Program Director; James (Rob) R. Hackney, M.D., Assistant Professor; Vishnu Reddy, M.D., Professor and Interim Neuropathology Division Director. Requirements: Board eligibility or certification in anatomic pathology or AP/CP; additionally, a license to practice medicine in Alabama, which requires successful completion of USMLE Steps 1, 2 and 3, is needed. Stipends: Commensurate with year of postgraduate training; also, a professional development fund is provided. Description: The Division of Anatomic Pathology at the University of Alabama Medical Center, Birmingham, offers a one-year fellowship experience in Diagnostic Surgical Pathology. The University of Alabama at Birmingham Surgical Pathology laboratory performs more than 40,000 evaluations per year, which cover the entire breadth and depth of clinical material. There are especially strong services in Breast Pathology, GYN Pathology, GU Pathology, Musculoskeletal Pathology, ENT Pathology, Transplant Pathology, and GI diseases including the liver. Opportunities for elective rotations in subspecialty areas in Cytopathology, Hematopathology, and Molecular Pathology exist. Fellows are encouraged to participate in ongoing basic, translational or applied research projects in collaboration with the more than two dozen faculty members in the Division. Rotations are entirely at The University of Alabama Hospital. For those having an interest in Pediatric Surgical Pathology, a selected rotation at Children’s of Alabama (adjacent to UAB Hospital) is possible. 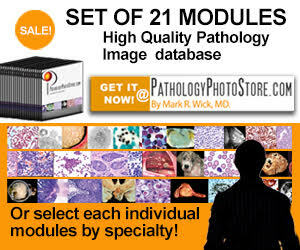 This program is directed by Shi Wei, M.D., Ph.D., Professor and Section Head of Surgical Pathology. Requirements: MD degree, license to practice medicine in the State of Alabama, and completion of pathology core requirements (3 yrs of AP or 4 yrs of combined AP/CP training). Most fellows are in their 5th postgraduate level of training.